I am not sure to be in the right section of the forum. If not (Admin) please feel free to move this thread. My english might not be american standard. I am living in germany. My name is Philipp. I saw my first sportsmobile 4x4 about 1 week ago. ... Was kind of fascinating for me. They normally do not exist here in europe. The guy I met is german and also here in the forum: Schluchtenflitzer. I would have liked to write an PM to him. But: "You are not authorised to view the member list or profiles." ... As I found out I have to write three postings first. So this is No. 1. Since I met him I am browsing the web in search of informations. At the moment I am driving an offroad built FJ Cruiser (also quite rare here). But if one day we will be 3 in our family this car will be too small for offroad travelling. So the SPM might be an option. I have a lot of questions. But I will do my homework and search the forum first! Welcome, we have a few active members in your neck of the woods. 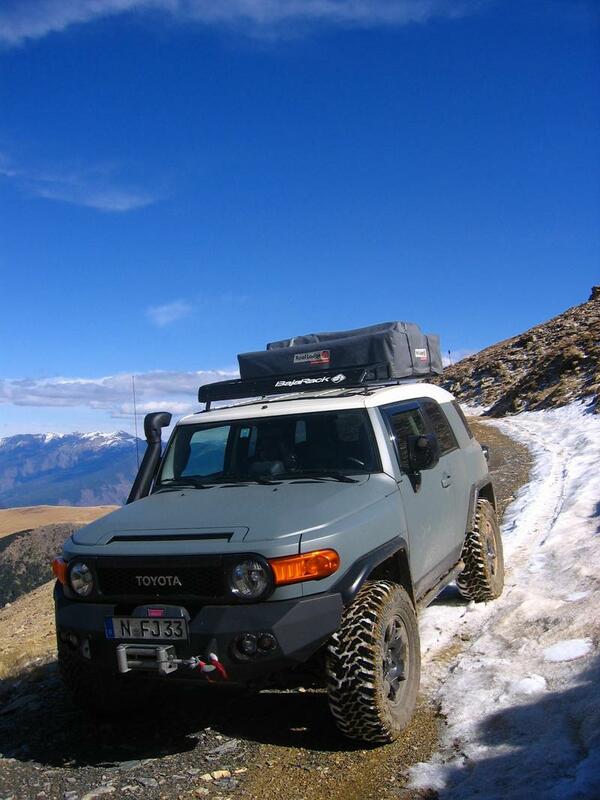 Nice looking FJ BTW. Wow - thanks for the warm welcome! I would be interested in members in germany. I just got a short glimpse of a SMB. Would like to check the details. VivaLaVida isn't a SMB but I was really inspired by those when I built it. But she will likely never come in Europe, especially in Switzerland from where I'm originally, since it would be definitely impossible to register her there. Haha ... I found You. ... Internet makes it possible. Yes. Didi/Schluchtenflitzer is the One I Met a Week ago at an offroad Meeting. Not Bad Kissingen (I was there too). ... I think he is about the only One to give me advice about problems of registration in Germany, buying in the us, shipping, toll and tax. Your VivaLaVida (nice Name btw) is Looking great and seems to be very offroad capable!? This is important for me. I know it is a Heavy van and it will have problems to compete with smaller 4x4s. But it should get quite a way offroad on rocks, in mud and sand (there it will probably have biggest problems because of weight?). Have fun discovering and planning your next rig.